The family behind the Bewani Oil Palm Plantation (BOPPL), one of the largest deforesters in Southeast Asia, has divested from the plantation. This move raises fears of continued forest loss and the undermining of palm oil traders’ efforts to eliminate deforestation-linked palm oil throughout supply chains. BOPPL is a 139,909-hectare (ha) plantation in Papua New Guinea. Nine members of the Malaysian Tee family, via their company PNG Plantations Development Sdn Bhd, owned the plantation. The company had been responsible for approximately 20,000 ha of forest clearance since 2010, including almost 3,000 ha in 2018. Analysis by Chain Reaction Research (CRR) placed it sixth on the list of the top 10 deforesters in Malaysia, Indonesia, and Papua New Guinea last year. 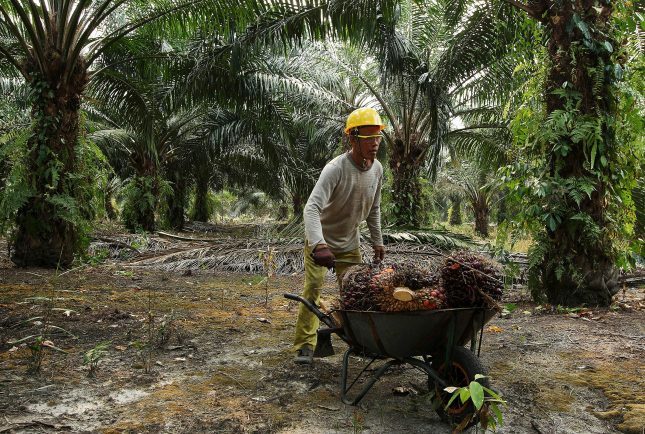 CRR, in its 2018 report “Shadow Companies Present Palm Oil Investor Risks and Undermine NDPE Efforts,” detailed ownership links between the BOPPL and eight mills in Peninsular Malaysia, which are majority and minority owned by the Tee family. These mills publicly belonged to Prosper Group and the Bursa Malaysia-listed Far East Holdings Berhad, appearing in supply chains of companies including Wilmar, Mewah , IOI, Musim Mas, Sime Darby, ADM, AAK, Cargill, Reckitt Benckiser, General Mills, P&G, Mondelez, Nestlé, Olam, Mars and Unilever. After reports surfaced about deforestation and social issues at BOPPL, some traders removed palm oil from the Prosper Group mills from their supply chains. Likely as a response to this loss of trading volumes, the Tee family informed traders in February 2019 that it divested from BOPPL. Analysis of the Malaysian and Papua New Guinean notary acts by CRR has shed light on the BOPPL’s new ownership structure. PNG Plantations Development Sdn Bhd previously had 100 percent ownership of Bewani Oil Palm Plantations Ltd and Vanimo Green Palm Oil Mill Ltd, the plantation’s newly developed mill. The ownership of PNG Plantations Development Sdn Bhd was previously shared between Tee Kim Tee (30 percent), Tee Lip Hian (20 percent), Tee Cheng Hua (10 percent), Tee Ching Chan (10 percent), Tee Cheng Hu (10 percent), Tee Lip Jen (5 percent), Tee Chain Yee (5 percent), Tee Lip Chuan (5 percent), and Tee Lip Sin (5 percent). Registration documents for the company, accessed on February 15, 2019, show that the Tee family no longer has shares in PNG Plantations Development Sdn BHd. The company now has two shareholders: Top Leap Holdings Ltd (90 percent) and Sendi Unik Sdn Bhd (10 percent). Tee Lip Hian and Tee Kim Tee are still listed as directors of PNG Plantations Development Sdn Bhd, alongside new directors Lim King Hua, Lim Kui Suang, and Paul Ignatius Stanislaus. Tee Lip Hian and Tee Kim Tee ceased to be directors of the Bewani Oil Palm Plantations Ltd on January 23, 2019. The new directors are Mat Zin Bin Mat Akir, Eng Seong Goh and Kong Fatt Yap. These three, all Malaysians, are now also directors of Vanimo Green Palm Oil Mill Ltd, replacing Tee Lip Hian, Tee Lip Zhun, and Tee Lip Jen. Although Eng Seong Goh appears only on registration documents as of January 23, 2019, an article from 2015 identifies him as the Bewani Oil Palm Plantation’s executive director. This suggests some degree of continuity in the plantation’s directorship. CRR’s attempts to access registration documents for Top Leap Holdings Ltd (90 percent) have come up short. The company is likely registered in a secrecy jurisdiction where registration documents are not publicly available. Based on registration documents of the companies and individuals that CRR can access, they show clear links with the Tee family. The largest shareholders of Sendi Unik Sdn Bhd are the following: United Pacific Acres Sdn Bhd (16 percent), Tee Cheng Hua Holdings Sdn Bhd (16 percent), Tasik Sentosa Sdn Bhd (15 percent), Semai Jelata Sdn Bhd (15 percent), and Mergeboom (M) Sdn Bhd (15 percent). Registration documents for these companies show the Tee family are the majority shareholders of all of them. Additionally, Sendi Unik Sdn Bhd’s directors include Tee Ching Chan (Director & Manager), Tee Lip Hian (Director), Tee Lip Sin (Director), Man Foh (Director, and registered at Prosper Palm Oil Mill). PNG Plantations Development Sdn Bhd’s director Paul Ignatius Stanislaus is the company’s secretary. Bewani Oil Palm Plantations Ltd’s new director Eng Seong Goh is also the director of PNG Bewani Resources Ltd, of which Tee Lip Hian is the director and main shareholder. With Tee Lip Hian and Tee Kim Tee still directors of PNG Plantations Development Sdn Bhd and with links between the family and the plantation’s new shareholders and directors, it is unclear to what extent the family has divested from BOPPL. Additionally, if the owners of Top Leap Holdings Ltd cannot be confirmed, the Tee family may continue to be responsible for ongoing developments on the plantation. Traders will likely remain under pressure to continue to exclude palm oil from the Prosper Group mills from their supply chains. The above example emphasizes that investors, financiers, and customers like Fast Moving Consumer Goods (FMCG) companies face reputation and market risks from related-parties’ controversies. When the beneficial ownership of a controversial asset becomes public, civil society and media exposure on deforestation can affect investors, financiers, and FMCGs. When NDPE trader/refiners are connected to controversies at related-parties, investors, and financiers are exposed to market risks.